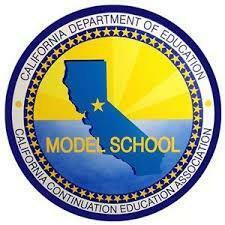 Lloyde High School was announced as one of 31 schools to be named a 2019 Model Continuation High School, sustaining another three-year designation after earning the recognition in 2016. 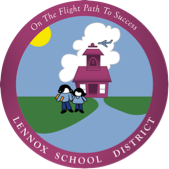 The schools were recognized for their innovative teaching approaches that enable students with diverse and challenging needs to complete their high school education. 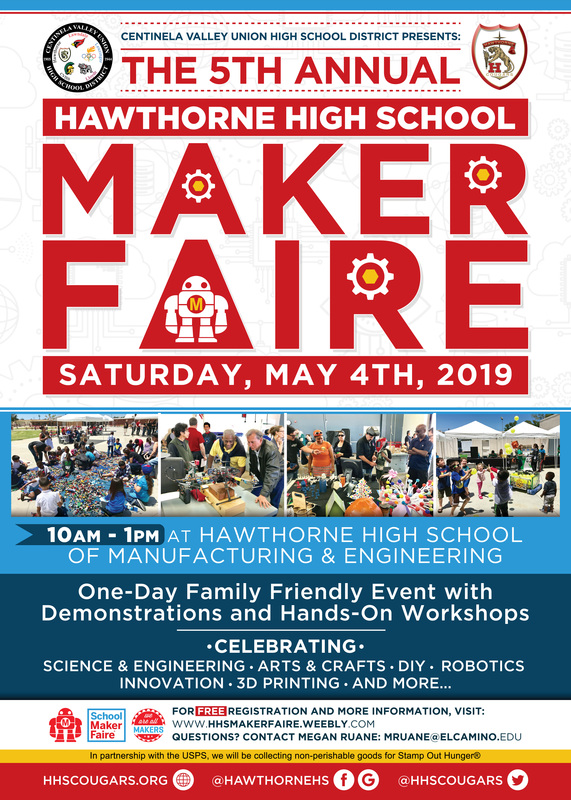 "These schools have created exemplary programs and strategies that provide students with a second chance at academic success," Thurmond said. 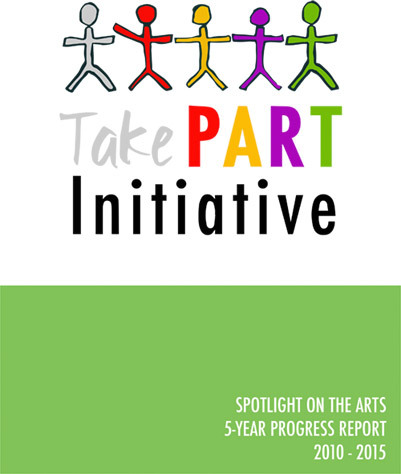 "The commitment demonstrated by the teachers and administrative staff, combined with a culture of caring that focuses on the emotional and education needs of the unique populations they serve, are what make these continuation high schools the best examples of how to help kids strive and reach their full potential." 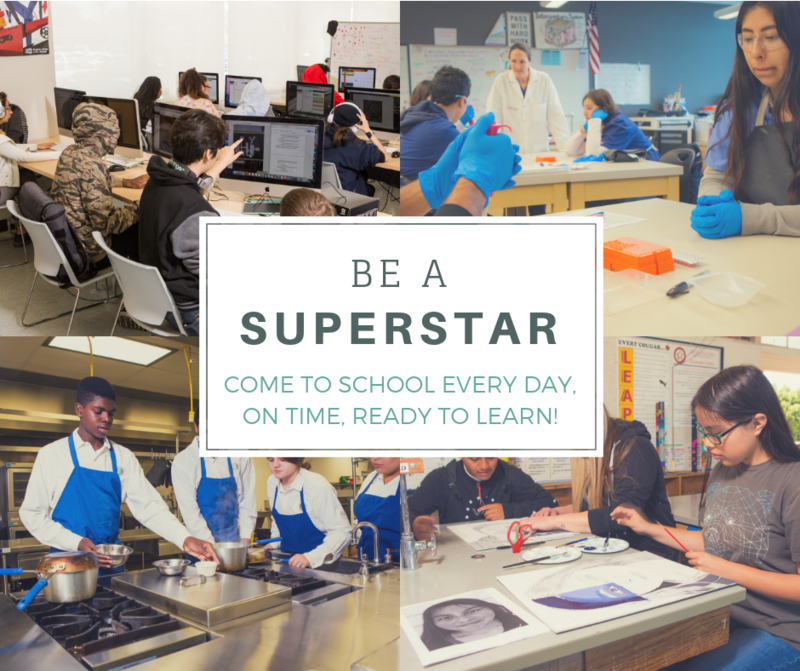 Students benefit from the supplemental programs and services offered, such as independent study courses, career counseling, job placement, apprenticeships, and concurrent enrollment in community college. The Lawndale High School football team had an exceptionally successful season, ending it as the CIF State Division 2A Champions. Additionally, they won the CIF Southern Section Division 5 Championship and the CIF State Southern Regional Division 2A Championship. They have been named Top 50 in the nation by MaxPreps, out of 17,000 teams nationwide. The team was honored by MaxPreps in partnership with the National Guard at a Tour of Champions event, where they were recognized and presented with a trophy. 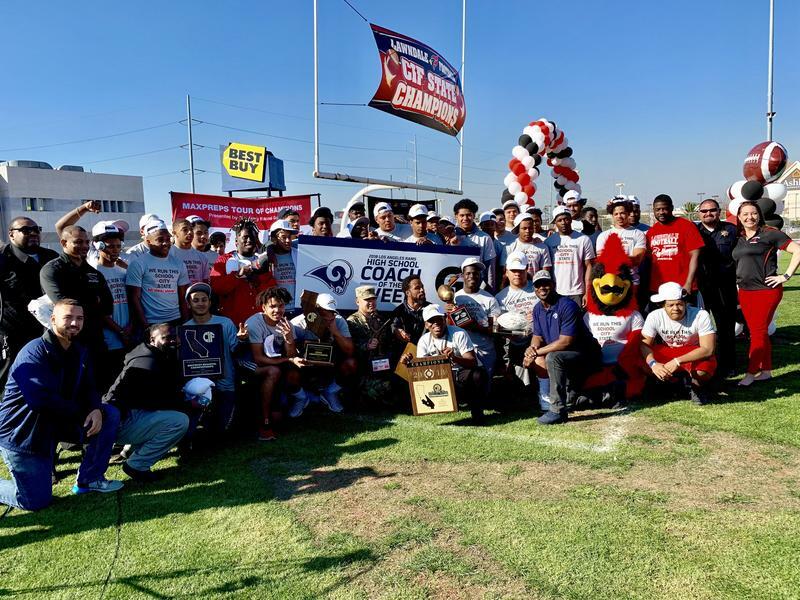 A representative from the LA Rams attended to congratulate the team and present Coach Clark with a Coach of the Week Award and a rep from the LA Chargers attended and gave the team hats. Community stakeholders and all Lawndale HS students attended to celebrate our State Champions. 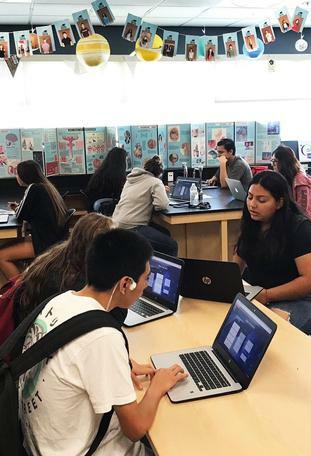 This year, CVUHSD hosted its first annual "Get to Know Us" tour at Hawthorne, Lawndale and Leuzinger High Schools. 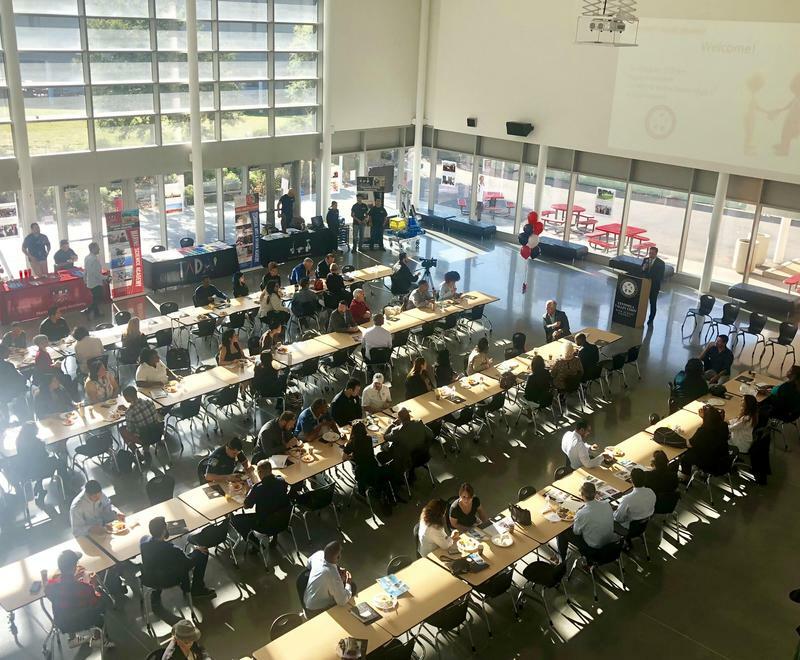 We invited principals, assistant principals, teachers, counselors and district administrators from our partner districts to attend and the turnout was great! 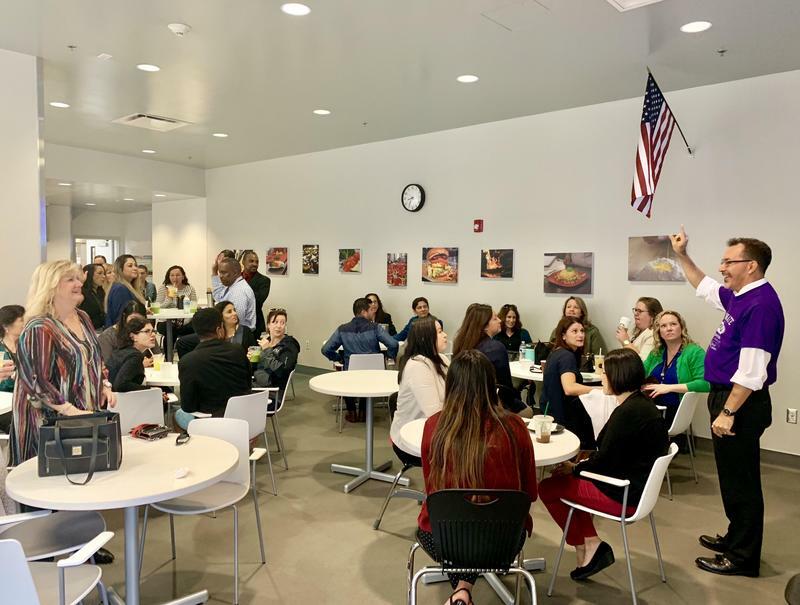 Guests enjoyed a continental breakfast prepared by our Culinary Careers Academy students, followed by a tour at each high school, highlighting the best programs and extracurricular opportunities that each school has to offer, and concluding with lunch. We value our partner districts and look forward to continuing to nurture our partnerships to ensure that our students leave high school ready for college, career...and life! 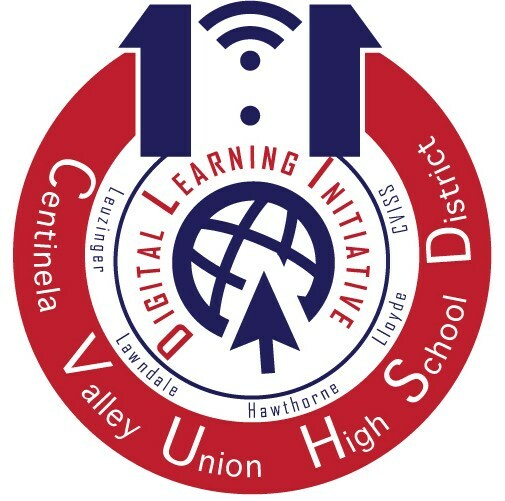 The Centinela Valley Union High School District recently locked in savings of over $28.1 million for local taxpayers by refinancing a portion of Measure CV bonds approved by voters in 2008 and a portion of Measure CV bonds approved by voters in 2010.